“You did it again Monica” said the irritated manager to the clerk, You spelled two words wrong even with the spell checker. When are you going to get your act together? “Here correct this and get that report back on my desk this morning.” And here is four more pages I want typed and added while you are doing it over. You are probably thinking, “I would never do that.” I believe you. Most people know about the varied approaches that can be used to deal with performance. But there will be those occasions when a slip-up may occur. Often do to just the stresses of the day. Turkey burgers are low in fat yet taste so good if seasoned right. Our approach to dealing someone’s performance should be healthy. You want to reduce the possibility of clogging up their circulation with a lot of fat. This will only slow down work production in the long run. In addition, if we reduce the fat we can get right to the point. We can avoid criticizing the person and deal only with the behavior. 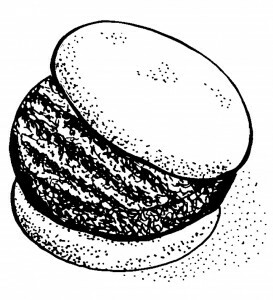 If you look at the illustration you notice that there is steam coming from the burger. Food served when it is hot tastes better. The same is true when we are giving feedback. It should be immediate. The only time that it should ever get lukewarm is if you the manager are too hot at the time. Most of us are waiting for the “but” or “however” so that we can go directly to the meat. Consider saying something different. For example, “ I would like to see if improvement could be made with some of the typing output. How can I help? Now, of course some of you can come up with something better. I hope so. The idea is that we take the time to form the right words that will take us directly to the meat. This is the time to provide the areas of improvement needed. Be sure to have recent documentation or observed instances of unacceptable behavior. Place emphasis on your concerns about the behavior and not the person. Allow time for the person to chew the burger. Give them opportunities to share their perceptions and feelings about the behavior you have presented. Do active listening. Thank the person for sharing. It is importance to end the session with words of encouragement. Let the person know that you are hopeful and anticipate changes. Once again focus on the positive of work performance. By ending with an upbeat note you are assured of having the entire burger digested remembered for a long time. After all why should the person just remember the Pepsi or diet Coke they had at lunch and not the main course (smile). Nutrition research has validated the importance of fiber in our diets. Plain white bread will not provide the fiber for our bodies the way that whole wheat and seeds can. Our feedback should be good for the person receiving it. Hopefully, it will be positively remembered and acted on right away. Remember what goes in should make an impact on the performance that comes out!